People who love the new Nintendo DSi XL but who want something a little funkier are in luck, with the gaming giant announcing green, yellow and blue versions for the UK. 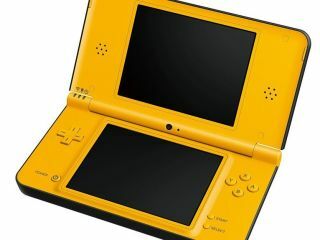 With a UK release date of 8 October, the green, yellow and blue versions of the Nintendo DSi XL are the latest arrivals in an increasingly dominant DS range. The main complaint about the first two versions of the DSi XL was the limited colours – with many suggesting that 'wine red' and 'dark brown' were not really the hues that they were looking for. And although people hoping for white or black may be disappointed, the colour options have now swelled. "The latest iterations of the Nintendo DSi XL will offer the same functionality as the wine red and dark brown consoles; featuring the same glossy sheen on top, matt finish on the underside that provides extra grip, bigger screens and wider viewing angle," explains Nintendo. "It will still continue to be pre-loaded with two Nintendo DSiWare software: A Little Bit of... Dr Kawashima's Brain Training: Arts Edition and Dictionary 6 in 1 with Camera Function, as well as the Nintendo DSi Browser, which enables you to easily access the internet wherever a wireless internet connection is available."